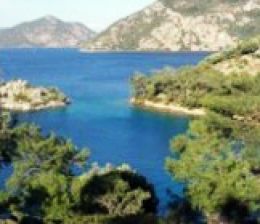 Having 30 years of experience since the beginning of yacht Charter activities in southwestern Turkey. We offer numerous alternatives to our guests who happens to be choosing to charter with us from all over the world and different walks of life. 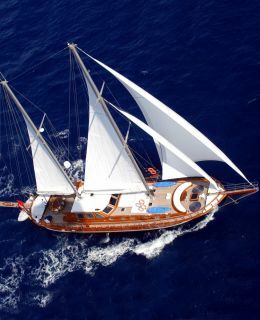 All you have to do is contact us for your desired yacht charter Turkey in other words we can organize your blue cruise on a luxury motoryacht, onboard a extravagant gulet or a crewed sailing yacht charter in order to propose you the most convenient yacht charter in Turkey which is actually a very intense and time consuming job. it seems to be the most difficult part is to match the right people, the right charter period and the right yacht charter in Turkey with the right crew which may very well result as a dream journey or end up a disaster if failed to match.! All we need to know is for you to come up with exact dates, number of cabins and level of standard or Yacht Charter Turkey, so that we can provide you with the most convenient yacht which might be the most suitable one for you, furthermore show you several other Yacht charter Turkey alternative yacht proposals where you can compare the quality and prices in order to make a final desicion for the right yacht Charter in Turkey. So far we have the most complete and detailed luxury Yacht rental portfolio in Turkey and we offer you the most suitable crewed yacht charter Turkey, we truely believe that it should be what you have asked for. it is almost impossible to offer hundreds of alternatives to someone and expect to make the right desicion without knowing the yacht and her crew which is crucially important in yacht charter holidays. Luxury Gulets, motoryachts or crewed sailingf yacht charter in Turkey are all being promoted in our website, We feel privileged and rewarded with your presence as you have come so far to read this article, which means our Search Engine Optimization and original texts has been considered by the search engines such as Google, yahoo, bing or ask to respond your search for luxury yacht charter Turkey. 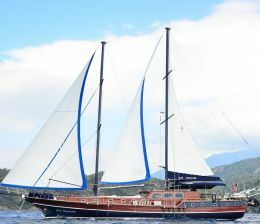 If you consider chartering a motor yacht charter or a Gulet or a yacht charter Turkey then you’ve came to the right place where you would be given, up to date, correct information about hundreds of quality yacht charter in Turkey which are ready, willing and able to serve you with utmost attention and professionalism. We do represent some of the yachts as their central agent or we have direct contact with such yacht owners and we are fully authorized to offer these yachts as per the owners schedule. Southwestern Turkish riviera coastal waters and the Yacht charter turkey, Kos Rhodes and Bodrum area are some of the most popular yacht charter destinations in Eastern Mediterranean, ideal for blue water sailing, motoryacht charter or gulet charter Turkey for seamless family vacations on board superb Gulet built with highest quality craftmanship to offer utmost comfort and reliability at sea. Yacht charter. We appreciate your business and would do anything to keep you satisfied by all means, we prefer to lose money but not your trust invested in us. Please call for a quote for the yacht of the right size and price, we assure you that we have the most adecuate yacht rental in Turkey and professional yacht crew to serve you.